M2 Strategy today announced that it was selected as a finalist for the 11th Annual Small and Emerging Contractors Advisory Forum (SECAF) Awards. 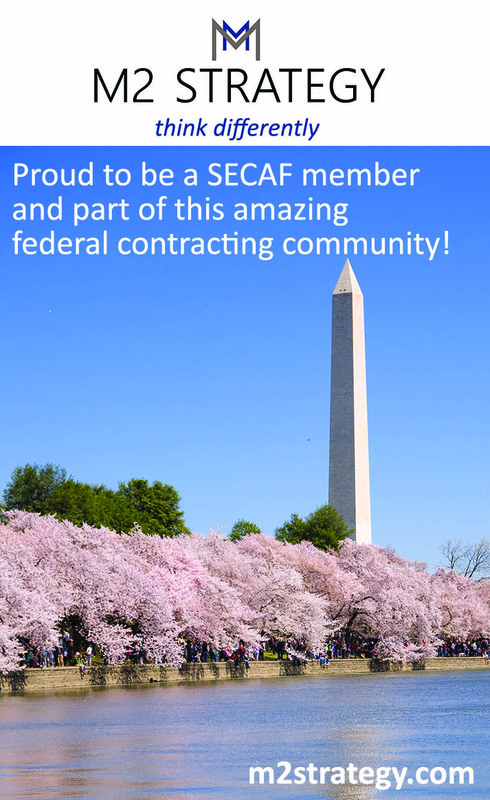 Winners will be announced at the SECAF Awards Gala on Thursday, May 2, 2019 at the Hilton McLean in Tysons Corner. The event honors small and emerging government contractors and the players the industry that rely on small business. M2 Strategy is a finalist for “Award of Excellence” which highlights companies that represent excellence within their respective community, the government contracting industry, and towards employees. “M2 Strategy is so proud to be recognized as it exemplifies our focus on excellence for our award-winning culture, our employees, our clients, and our community”, says President, Willow Marr. M2 Strategy is proud to be a part of a winning team selected by the National Oceanic and Atmospheric Administration (NOAA) for a contract award on the ProTech Oceans Domain. M2 Strategy has teamed with JHT Inc., a long-standing NOAA partner, as a subcontractor under this contract. The mission and objectives of the NOAA ProTech Oceans Domain are related to support of scientific data collection, community outreach services and geospatial mapping. NOAA’s National Ocean Services (NOS) provides science-based solutions through industry partnerships to address economic, environmental, and social pressures on our ocean and coasts. A proud NOAA partner for the past 14 years, M2 Strategy supports NOAA through multiple contracts at National Marine Fisheries Service, National Weather Service, and the National Environmental Satellite, Data, and Information Service. M2 Strategy is excited for this opportunity to allow us the ability to continue expanding the breadth and depth of our existing support to NOAA under this new contract vehicle. M2 Strategy is excited to announce that it has been awarded a five-year Prime contract in support of the National Weather Service (NWS) Office of Water Prediction (OWP). To support OWP’s noble mission, M2 Strategy will be providing key subject matter expertise for portfolio, program, and project management, budget and financial management, change management, and communications support. M2 Strategy’s services will assist OWP’s leadership and workforce to further enhance water program and project execution, which will strengthen NWS’ ability to deliver impact-based decision support services to the larger water community. The OWP plays a critical role in advancing the resilience and economic strength of the nation through collaboratively researching, developing, and delivering key national hydrologic analyses, forecast information, data, and decision support services. M2 Strategy has been awarded a five-year Prime contract with the National Weather Service (NWS) Office of Science and Technology Integration (OSTI), to improve program efficiency and effectiveness by providing program and project management, and air quality prediction and monitoring support. In support of the NWS mission, OSTI manages the execution of acquisition and development programs meeting the needs for current and future NWS operations. M2 Strategy’s collaboration with OSTI will increase the office’s ability to effectively plan, implement, and track projects, as well as assess and control performance to meet the goals and objectives of the program office throughout the program and project life cycles. M2 Strategy has partnered with Eastern Research Group (ERG), a highly-respected consulting firm that specializes in researching air quality, water quality, climate change, and other environmental and public health issues, to provide OSTI with unmatched air quality research, policy and enforcement expertise. M2 Strategy is excited to announce that we were awarded a two-year Prime contract to support the National Marine Fisheries Service (NMFS) Office of International Affairs and Seafood Inspection (OIASI). Under this contract, M2 Strategy will deliver a broad range of professional and management support services in the areas of communications, public affairs, budget and financial management, and foreign affairs. OIASI provides key support which is critical to the NMFS mission including advancing an ecosystem approach for the management of all international living marine resources; deterring illegal, unregulated and unreported fishing and bycatch; overseeing U.S. access to foreign and high seas fisheries; improving the stewardship capacity of developing countries; and providing seafood inspection services domestically and abroad to certify seafood in trade for safety and/or authorized acquisition. M2 Strategy is excited to announce that it has been recognized as an Inc. Magazine “Best Workplace”. This award is uniquely designed to recognize successful small- and mid-sized businesses that value company culture, offer standout perks and benefits, and prioritize employee well-being. 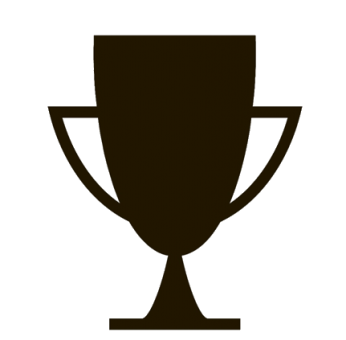 Unlike other workplace awards, the Inc. winners are chosen entirely on feedback shared over the past year by those who know the company best – the employees. Best Workplace winners foster an environment where employees willingly go above and beyond in their work, advocate for their organization, and intend to stay at their companies long-term. The competition was fierce, and out of thousands of applicants Inc. singled out just over 200 winning companies. M2 is proud to announce that it is a finalist for Forbes Small Giants 2018, which recognizes America’s Best Small Companies that are setting new standards for business excellence through being focused on employees, culture and growing with purpose. The evaluation criteria included: having leaders that are committed to building a great business, rather than a “big” business; being the best, or one of the best, in its industry, and offering unmatched customer service; having a culture that is specifically designed to bring out the best in its people; and having a proven and lasting relationship with its community. M2 Strategy is deeply honored to be named one of Washington Business Journal’s Best Place to Work in 2018. The Washington Business Journal recognizes companies that go beyond the norm to foster an enjoyable and meaningful work environment for their employees. But, most importantly, this award recognizes the quality of the people who work for M2 Strategy and the inclusive and motivating culture we have built. The Best Places to Work results are quantitative, based on survey responses from employees themselves, rather than a panel of outside judges. The recognition from our employees as an innovative and welcoming workplace is a huge honor, and we truly believe that our talented employees are the driving force behind our success. At M2 Strategy we believe in providing our clients with industry-leading technical and management expertise that makes sense to improve and reach their missions while providing the best workplace that encourages and rewards all employees’ growth and innovation. We are committed to keeping our promise of creating solutions to our clients’ most pressing challenges that transform organizations and inspire people. To deliver on this promise, we have created an inviting company culture built on innovation, inspiration, collaboration and quality. Clients trust us with their people, missions, and future; we are continually inspired by this privilege to be given the opportunity to shape organizations and their workforces and are dedicated to remaining a trusted advisor and partner to our clients. For that reason, we purposefully seek and bring together the most talented, passionate and innovative individuals who can make a difference for our clients. Great work and impactful solutions are made by teams that trust one another, are motivated, and are dedicated – which is why we are dedicated to making a culture that allows our employees to do the best work of their lives. M2 Strategy is proud to announce that our President, Willow Marr, has been recognized as a winner of the Enterprising Women of the Year Awards. The Enterprising Women of the Year Awards is widely considered one of the most prestigious recognition programs for women business owners. The recipients of the 2018 Enterprising Women of the Year Awards represent an amazing group of women entrepreneurs from across the United States and around the world. “We could not be more proud to recognize their accomplishments as CEOs of fast-growth companies, community leaders, and role models and mentors to other women and girls. We look forward to shining the spotlight on them at our 16th annual awards event in March,” Monica Smiley, publisher and CEO of Enterprising Women said. M2 Strategy, Inc. is excited to announce that we have been awarded a 5-year contract with NOAA to provide Management, Organizational, and Business Improvement Services to the Office of the Chief Information Officer (OCIO) of the National Marine Fisheries Service (NMFS) Line Office. Support on this effort includes Project Management, Strategic Planning, Communications, Education and Training, Legislative, Data Management, and Information Technology services. This contract award signifies M2 Strategy’s growing partnership with NOAA. M2 Strategy has delivered management and technical consulting services under contracts with other line offices to include the National Weather Service (NWS), the National Environmental Satellite, Data, and Information Service (NESDIS), the Office of Marine & Aviation Operations (OMAO), and the Office of Oceanic and Atmospheric Research (OAR). M2 Strategy partnered with a highly-qualified team of companies to support the NMFS organization with its mission including iBSS, which has supported the NMFS for over 17 years and specializes in professional and technical services, cybersecurity, IT, and Engineering and The Baldwin Group, Inc., a partner to NOS and NMFS, who provides in-depth education, data management, and communication services. M2’s team of consultants have extensive experience coordinating effective and structured events with focused agendas that assist our clients to efficiently reach meeting, conference, workshop goals. We have experience facilitating weekly and monthly meetings for ongoing engagements as well as facilitating workshops, roundtables, and retreats for senior leaders and management-level federal personnel. Our approach to event planning and logistics begins well before the event is scheduled and does not end until every follow-up action item is completed. 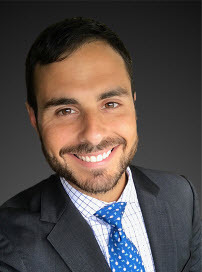 Steven Zatarga is a Managing Director of M2 Strategy and leads operations, human resource management and policy, and the organization’s culture initiatives. He possesses over 10 years of leadership management with a focus on creating an environment that is inclusive, inspirational and innovative. Mr. Zatarga excels at working collaboratively with teams and senior leaders to design and execute practical strategies while innovating and taking risks to transform organizations. Prior to joining M2 Strategy, Mr. Zatarga managed all operational, strategic, and business development activities which included 100+ employees and $10M in annual revenue for Darden Group. Mr. Zatarga actively participates in local charity events and volunteers throughout the year with the Washington, D.C. LGBT homeless youth. Mr. Zatarga earned a Bachelor’s Degree from the University of Houston in Business Management. Once the current-state of the organization is revealed through M2 Strategy’s Organizational Assessment, our clients are able to begin building solid organizational foundations that fosters collaboration, enable open communication, build positive relationships, and enhance productivity. Driving successful organizational transitions should be the central focus of the activities and strategies adopted by leadership. With M2 Strategy support your organization will have a clear vision for what the process of change will look like, and what milestones need to be reached to achieve the desired end goal. Regardless of size, organizations grapple with business process improvements and how to ensure implementation yields efficiencies. We work with our clients to ensure that their processes are fully embedded within the organization’s culture and way of doing business. We also focus on performance measurements to ensure results are being yielded and mission delivery is improved. Our process improvement and change management teams have MBAs and have successfully implemented engagements across the federal government such as the U.S. Army and for Fortune 500 companies. Our workforce and organization design solutions positions clients to achieve their goals. M2 experts have successfully delivered numerous workforce analysis and organizational design efforts, starting from strategy through solution implementation. We have done this for mission critical federal agencies that have 24/7 missions as well as multi-billion dollar companies. We recognize that every organization is unique and requires a tailored solution. Our workforce analysis is more than simply pulling Human Resource data, interviewing select staff and facilitating stakeholder discussions. Our approach is analytically rigorous and focused on understanding our clients’ businesses so that we can know what activities are performed and what data to collect in order to provide you specific solutions that are practical and implementable.